Ownership / Access: Local authority. Castle open to public. 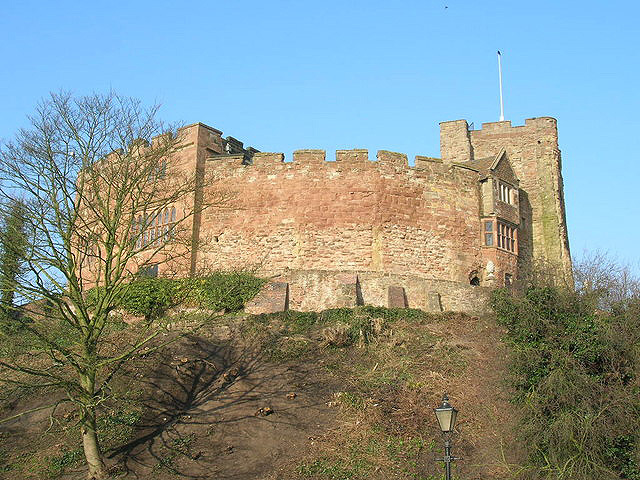 Notes: Tamworth Castle, a Grade I listed building, is a Norman castle, located next to the River Tame, in the town of Tamworth in Staffordshire, England. Overlooking the River Tame, the site has been fortified since Anglo-Saxon times, when Ethelfleda, the Mercian Queen, built a burh to defend against Danes (Vikings); it served as a residence of the Mercian kings. Rebuilt and enlarged by the Normans, it is today one of the best preserved Norman motte-and-bailey castles in England. The Castle has the second largest motte in England, after that at Windsor Castle.